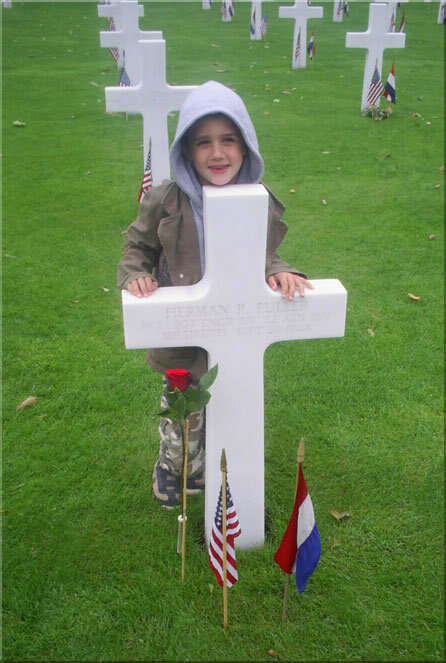 Jasper van Haren, adopter of the grave of PVT Herman R. Fuller. I am Jasper van Haren, 31 years of age and by origine from Den Bosch (s’Hertogenbosch), but now living in Kaatsheuvel. 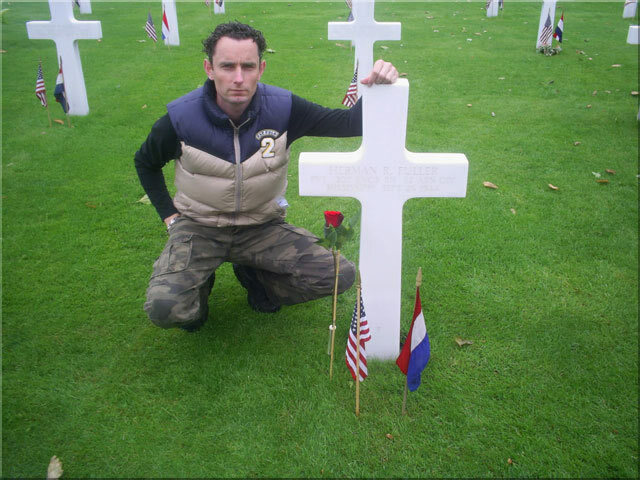 I’ve come to adopt graves because of my brother Martijn van Haren. He was doing this for a while already and when he found relatives of one of the soldiers’ graves he adopted, I was deeply impressed. 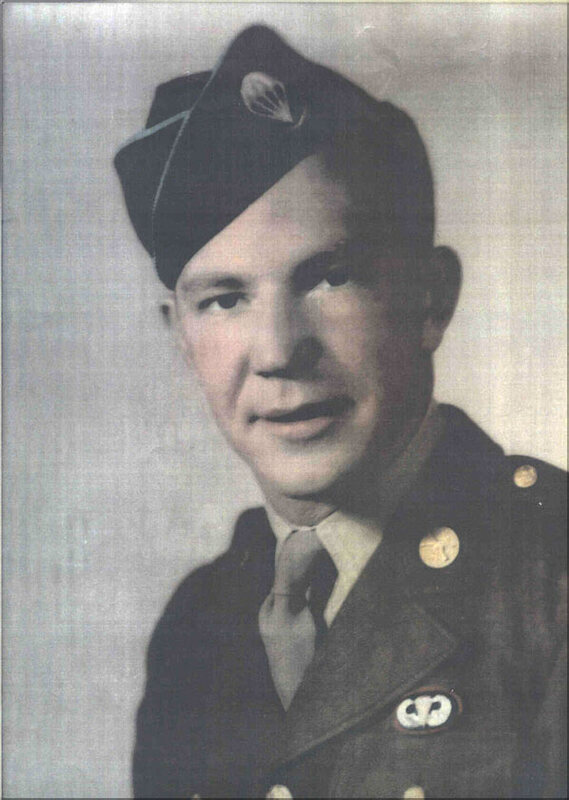 I’ve adopted the grave of PVT Herman R. Fuller and started the search. Our well known friend Terry from the States started to help me and to my biggest surprise we’ve had more success than ever estimated. I got a letter with pictures and newspapers clippings as well as a telegram, truly amazing material. 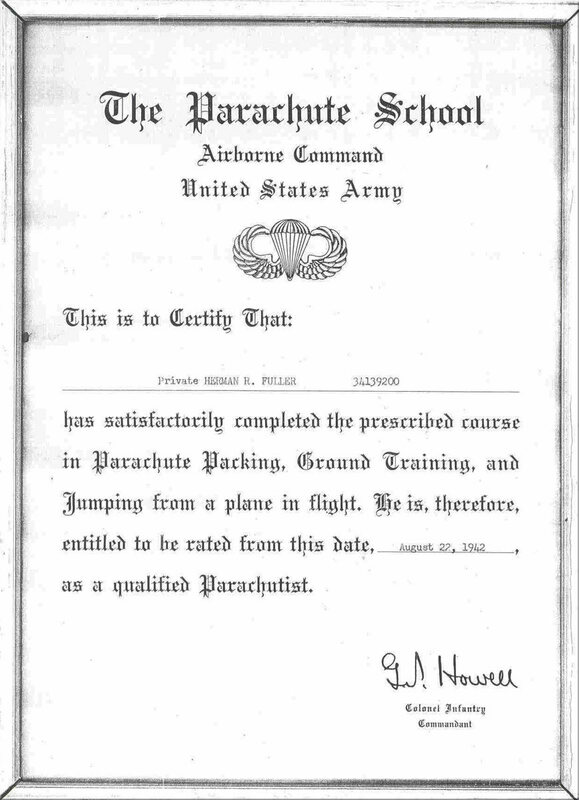 Copies of this can be found with the story of Herman on this website. His stepsister is still alive and together with her daughter, they have always treasured Hermans’ belongings. After that I phoned the daughter and have been talking for hours about Herman and adopting graves. 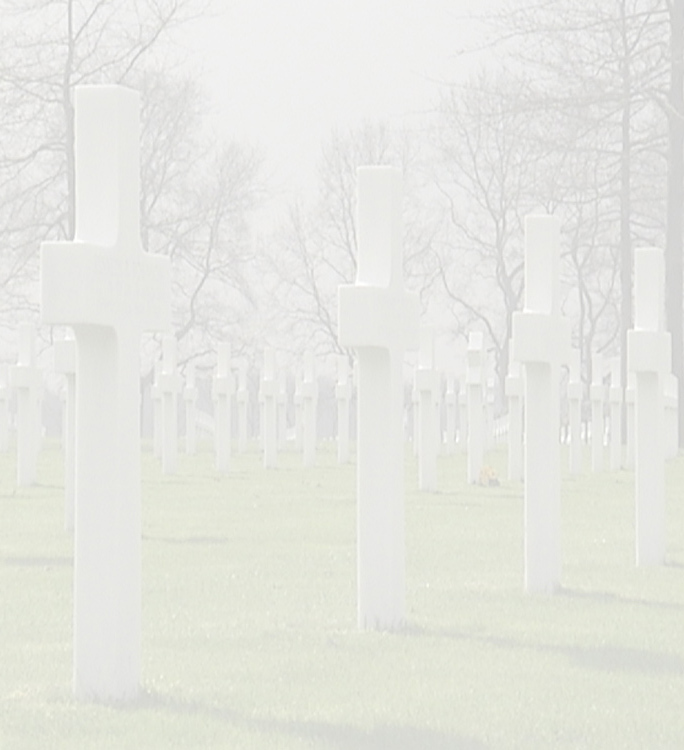 She was completely surprised about the adoption programme and neither knew that the graves were so nice maintained in the Netherlands… actually she didn’t knew at all how he was buried etc., something I was truly surprised about. The first time I’ve visited the grave of Herman was the day before Christmas 2006… it was cold and foggy and my feet were soaked. But this gave a certain atmosphere which I can’t describe.. I’ve brought a Christmas arrangement to the grave and felt strange. I got goosebumbs from top till toe and felt like speaking to Herman R. Fuller. The only thing I managed to say was ‘merry Christmas and rest in peace’. One way or the other I felt free.. that I finally saw the grave and had an idea who was buried there, what he had done. This year I’ve attended the commemoration, then the weather was much better and it looked really peaceful. Now my little son was here… who was very interested in the stories my brother Martijn told him, I enjoyed this from a distance. Like father like son I figured then. For me it’s an honour to be able to do this and am also proud that Hermans’ family takes pride in the fact that so many people in the Netherlands do this. They even mentioned coming over to the Netherlands, so who knows what lays ahead of me.